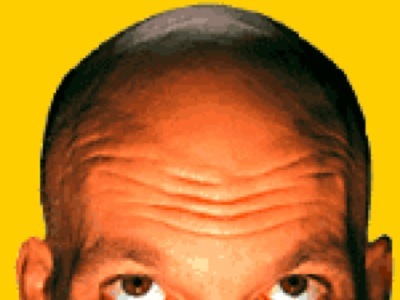 Seth Godin, marketing guru, entrepreneur, author and change agent is in our neck of the woods this week. Word on the street is that he’s in India to make a film on marketing to low-income communities. On Wednesday, Godin spoke to a captivated audience at the Indian School of Business in Hyderabad about the transformation of marketing and the art of leading a tribe to create change. A decade ago, the image of an Indian farmer standing in the middle of a chaotic village market holding a shiny mobile phone was unimaginable; today, this is reality. These shifts and juxtapositions in our world are demanding a change in our role as doers and entrepreneurs and the nature of marketing. The marketing model of branding a cute mascot to death, interrupting people to push average products, and “spam-a-lot” is dying. It’s fast being replaced by marketers who give communities value, something to believe in, respect, and the dignity of choice. This transformation is the start of a second Industrial revolution. “Tribal” leadership lies at the center of this revolution. Connecting a community or tribe of like-minded people and working with them to create change—like Jacqeline Novogratz has done with Acumen Fund or Anant Kumar has done at Life Spring Hospitals—is the new marketing. Trust, value and choice are the foundation of this movement. 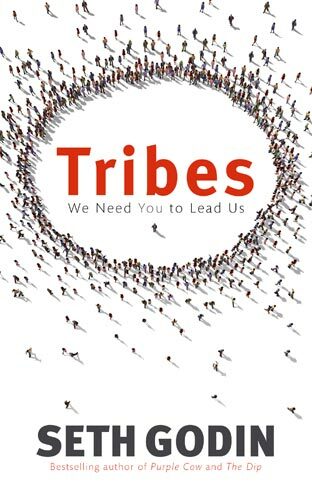 Do you need to be a genius to invent a tribe or to find a tribe and lead it? Not really; not a genius like Einstein anyway! In fact, it all comes down to “Art.” Art is about doing work that matters, the act of creating human activity that changes people for the better. The factory model of interchangeable parts and replaceable people is being swapped for a focus on design, service and people. The opportunity is huge – the laptop is now the means of production and the internet has brought down the wall between products and the market. Replacing the fear of failure with curiosity and the courage to take on “emotional labor” (potentially tough challenges) are the two skills an agent of change needs today. It is this tribal leadership and transformation of marketing, which will catalyze the movement of market inclusion at the base of the pyramid (BoP) in countries such as India. The end of poverty through market integration will come by supporting choice, not charity, and embracing dignity, not dependence. Beyond Profit: What has the world overlooked when marketing to communities at the base of the pyramid, considering not a lot of multi-national companies (MNCs) have succeeded up until now? Godin: So far we have treated people at the BoP the same as regular customers. It is only now that we are beginning to understand the different mindset and buying approach of customers at the BoP. The distinction between a need and a want is very clear to them. They will not just buy a product because it is INR5 (US$.09), they need to be extremely sure of the value it brings to their lifestyle. More than anything, they need to be given a choice to decide what product to buy. Beyond Profit: Do you see conflicts with marketing products to the BoP that they don’t need or shouldn’t be spending their money on? Godin: It is easy for marketers to trick people into buying a product, especially at the BoP where customers have maybe a year of buying experience whereas an urban middle income customer who has a lifetime of buying experience. In this age, marketers who give communities value, something to believe in, respect and the dignity of choice are the ones who will build successful organizations. Beyond Profit: How is the role of technology evolving when marketing to the BoP? Godin: The important factor is how technology is being used. The farmer with a mobile phone is a good example – he uses the mobile phone purely to connect for business and make a living, not to spend endless hours chatting with friends. Customers at the BoP will use technology to grow and attain success as long as it is affordable and available to them. Definately, the environment of Trust, Value And choice are always required for the establishment and success to any organization or movement and if we talk about the marketing then the main focus of area must be CSR (customer serviceman relationship:- as i say it in this way) as the better the one can penetrate within the minds and hearts of the customers , better the marketing will result in. Its all about the modulation you put in with respect to our target clients. Completely adore the AIESECer spirit in you!! What an article, you know, you should go ahead with a boook, with a publisher like HarperCollins or Penguin!! !